The Birds Eye frozen food factory in Grimsby, North East Lincolnshire, is to close with the loss of 600 jobs. The decision follows a year-long review of operations in Grimsby, Hull and Lowestoft by parent group Unilever. News that the Grimsby plant will close early next year was broken to staff at a special meeting on Thursday morning. The GMB's Andy Worth said: "It is a disgraceful and ridiculous decision that will put the livelihoods of 600 people in Grimsby in serious jeopardy." James Hill, chairman of Unilever's ice cream and frozen food division, told the BBC: "It is a very difficult day for everybody and emotions are understandably running high. "I would just like to say what tremendous sympathy I have for the Grimsby workforce and express my commitment to do everything possible to mitigate the effects of the change." The Hull fish fingers and frozen peas factory and Lowestoft's potato production plant will both remain fully operational following the business review, Unilever said. 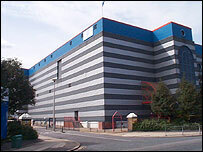 But the Grimsby site was deemed to be too small to be competitive in the ready meals market. Unilever said it would have preferred to sell the factory to a specialist third party, but efforts to do this had failed. The company also looked at a proposal to invest in the site, but decided this would not be economically competitive in the long term. Instead production at the plant will be transferred to selected specialist large-scale suppliers. Grimsby general manager Roger Norrington said the firm was disappointed that efforts to find a buyer for the factory as a going concern had not succeeded. He said: "It would have preserved employment and was the preferred option. We tried very hard, but it just didn't prove possible in the end."